The Environmental Data Initiative is on YouTube! Stop by for recordings of past tutorials and discussions on information management in the environmental sciences here. Click on the links below to find recordings of specific webinars. 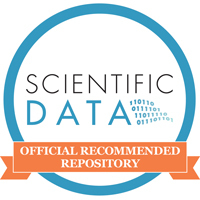 Webinar: “Open Science Framework for Reproducible Research”, 2 April 2019. Webinar: “Enabling FAIR Data: Helping our Researchers Share Their Data and the Reward of Attribution and Credit.” 19 February 2019. Webinar: “New functions supporting ISO 8601 datetimes.” 5 February 2019. Webinar: “Converting community survey data packages into the ecocomDP data model format.” 22 January 2019. Webinar: “EDI Town Hall.” 15 January 2019. Webinar: “Using the GCE Data Toolbox to automate environmental data processing and produce EML-described data packages for EDI.” 8 January 2019. Webinar: “Introduction to some tools for creating taxonomic coverages in metadata.” 18 December 2018. Virtual Hackathon: Organized by Information Management Code Registry (IMCR) Cluster. 14 November 2018. Webinar: “Associating EDI data packages with the journal articles that use them.” 13 November 2018. Webinar: “Finding and contributing software solutions for data management needs.” 30 October 2018. Webinar: “Questions and answers on EDI’s Summer 2019 Fellowship Program.” 9 October 2018. Webinar: “Experimental use of Sitemaps.org and Schema.org metadata for Search Engine Optimization.” 25 September 2018. Webinar discussion: “Organizing data into publishable units.” 31 July 2018. Webinar on “Going Static with LTER Websites.” 29 May 2018. Webinar on “Postgres, EML and R in a data management workflow.” 8 May 2018. Series on “5 phases of data publishing” (5): “Create a local data catalog on your website.” 24 April 2018. Series on “5 phases of data publishing” (4): “An Overview of the EDI Data Repository and Data Portal (and how to use it for publishing data).” 10 April 2018. Series on “5 phases of data publishing” (3.3): “Make metadata with the EML assembly line.” 27 March 2018. Series on “5 phases of data publishing” (3.2): “What are metadata and structured metadata?” 13 March 2018. Series on “5 phases of data publishing” (3.1) : “Explanation of the EDI metadata template.” 6 March 2018. Series on “5 phases of data publishing” (2.2): “How to clean and format data using R, OpenRefine and Excel?” 13 February 2018. Series on “5 phases of data publishing” (2.1): “Creating clean data for archiving”, 30 January 2018. VTC tutorial: “Clean your taxonomy data with the taxonomyCleanr R package”, 16 January 2018. DataONE webinar: “The Environmental Data Initiative (EDI): Supporting Curation and Archiving of Environmental Data”, 9 January 2018. VTC tutorial: “DEIMS, the Drupal Ecological Information Management System”, 5 December 2017. VTC tutorial: “Using checksums to speed up data package uploads”, 28 November 2017. VTC tutorial (2): “Transform and visualize data in R using the packages tidyr, dplyr and ggplot2”, 24 October 2017. VTC tutorial (1): “Transform and visualize data in R using the packages tidyr, dplyr and ggplot2”, 17 October 2017. “Next generation climate/hydrological data products”, 12 – 14 March 2019. “Hackathon for Information Management Code Registry”, June 12 – 14, 2018. “Creating EML with R and publishing data packages in the EDI repository”. June 5-7, 2018. “Data publication training”, May 24 – 25, 2018. “Creating EML with R and using PASTA+ Web Services”, November 14 – 16, 2017. Poster: “Environmental Data Initiative: Accelerating the publishing and reuse of environmental data”, 24 October 2017, Water@UW-Madison 2017 Fall Poster Session. Presentation: “Supporting data synthesis in ecology: The Environmental Data Initiative (EDI)”, 10 August 2017, ESA Meeting 2017. Presentation: “Long-Term Phenology Datasets and the Environmental Data Initiative (EDI): Facilitating Future Data Syntheses”, 8 August 2017, ESA Meeting 2017. Session: “Create EML Using R and Share the Script via the Information Management Code Repository”, 25 July 2017, ESIP Summer Meeting 2017.